Dr. Terence S. Dermody is the Vira I. Heinz Professor and Chair of Pediatrics at the University of Pittsburgh School of Medicine and Physician-in-Chief and Scientific Director at UPMC Children’s Hospital of Pittsburgh where he leads a team of over 300 faculty members. He also is Professor of Microbiology and Molecular Genetics at the University of Pittsburgh School of Medicine. Dr. Dermody received his B.S. degree from Cornell University and his M.D. degree from Columbia University. He completed an internal medicine residency at Presbyterian Hospital in New York and fellowships in infectious diseases and molecular virology at Brigham and Women’s Hospital and Harvard Medical School. Prior to moving to Pittsburgh in 2016, Dr. Dermody was Dorothy Overall Wells Professor of Pediatrics and Director of the Medical Scientist Training Program and Division of Pediatric Infectious Diseases at Vanderbilt University School of Medicine. With over 32 years of experience in basic virology and viral pathogenesis research, at his core, Dr. Dermody is a virologist. Most of his research has focused on reovirus, an important experimental model for studies of viral encephalitis in the young, and chikungunya virus, an emerging mosquito-borne virus that causes epidemics of fever and arthritis. His research contributions have enhanced an understanding of how these viruses enter into host cells and cause organ-specific disease. 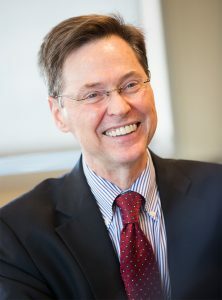 He has published more than 240 articles, reviews, chapters, and editorials and has been recognized for his research accomplishments by the Vanderbilt Ernest W. Goodpasture Faculty Research Award, an NIH MERIT Award, and the American Society for Microbiology D. C. White Research and Mentoring Award. Dr. Dermody is a member of the American Academy of Microbiology, American Pediatrics Society, American Society for Clinical Investigation, Association of American Physicians, and Society for Pediatric Research and a fellow of the American Association for the Advancement of Science. He is a past president of the American Society for Virology, past chair of the AAMC GREAT Group M.D.-Ph.D. Section Steering Committee, and past chair of the Virology Division of the International Union of Microbiological Societies. Dr. Dermody is an editor for the Journal of Virology and mBio and an associate editor for the Annual Review of Virology. He is a member of the Board of Directors of the Burroughs Wellcome Fund.